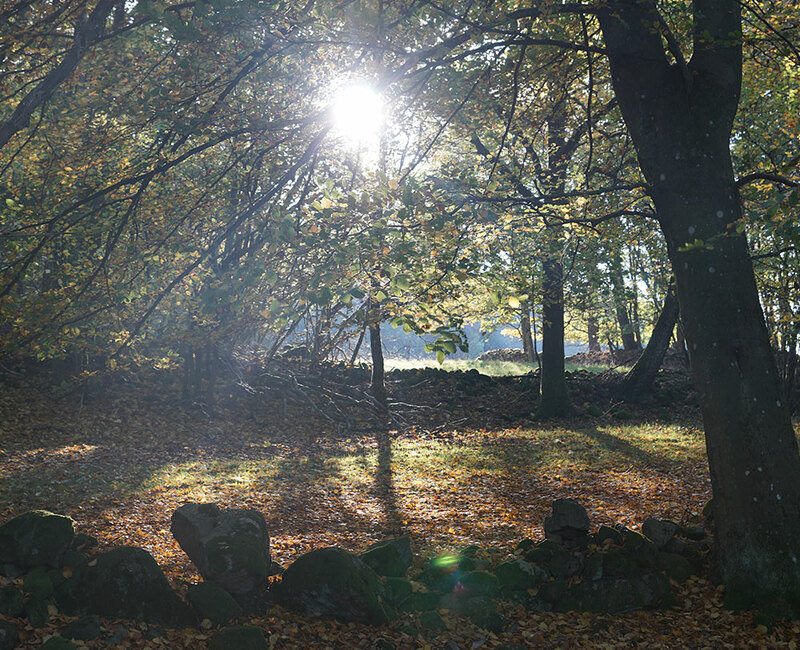 At Söderåsens Forsgård we want to inform our guests of new possibilities! 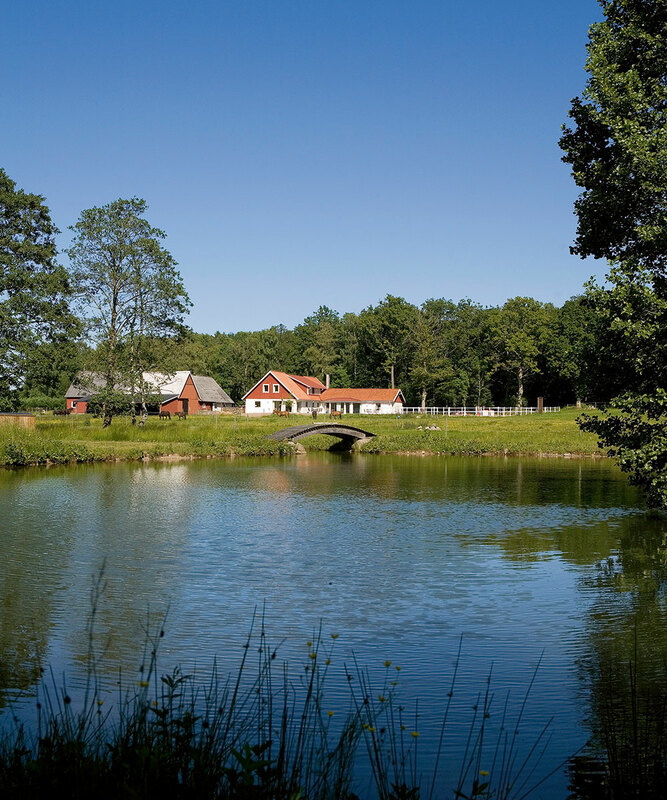 At Söderåsens Forsgård we arrange special events, everything from camps, weddings, and kick-offs to cuddle weekends with the family and good friends and make your very event both personal and cozy. 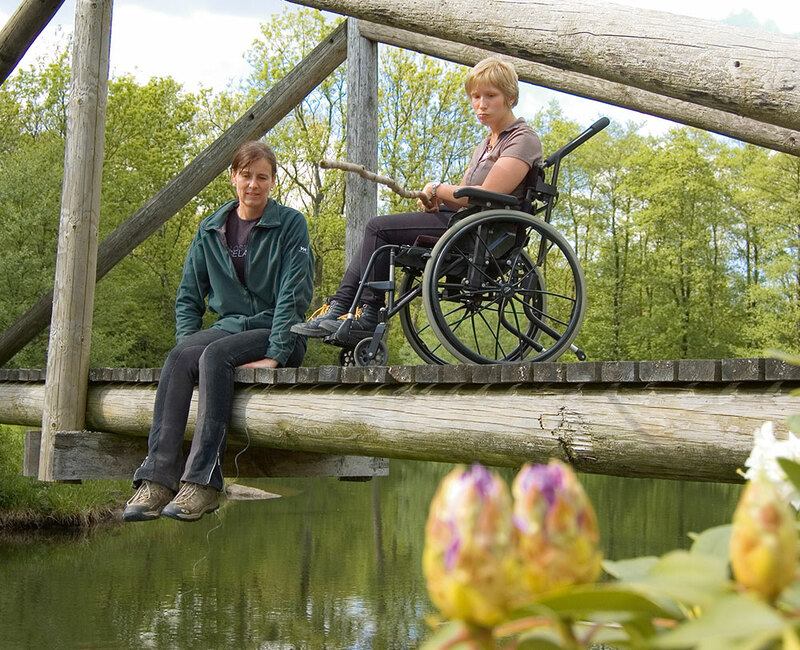 We also provide physiotherapy and activities for people with disabilities. 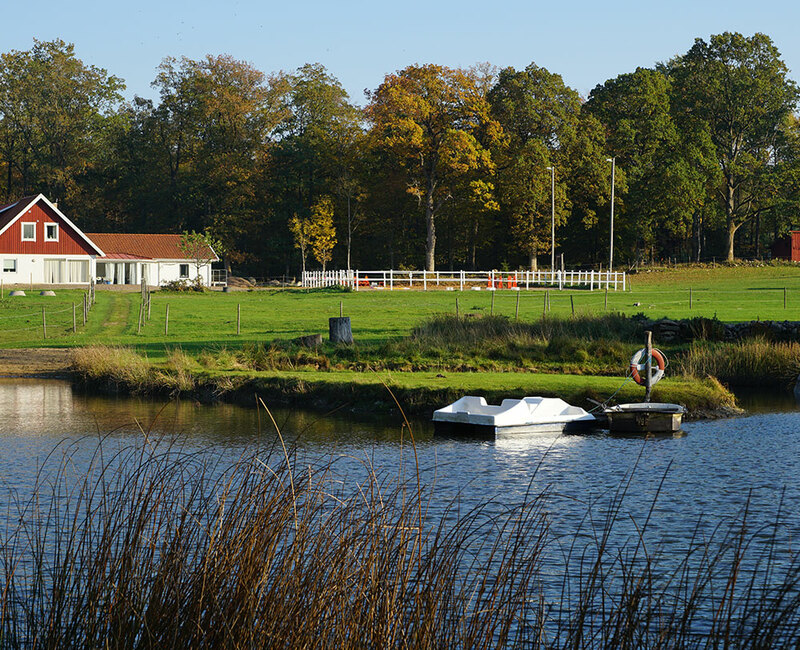 Whatever your interest or need, we recommend you to stay a minimum of two nights. 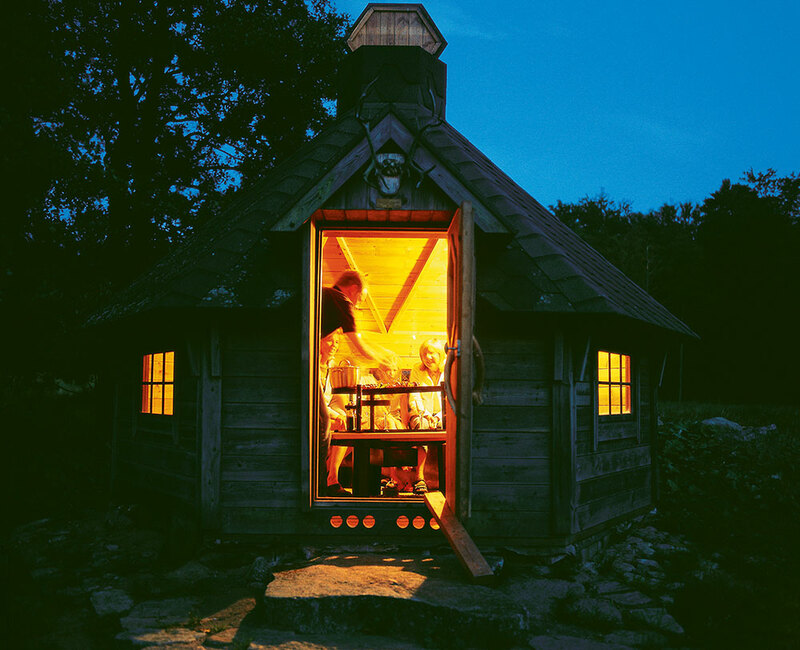 This will give you time to find out what suits you. 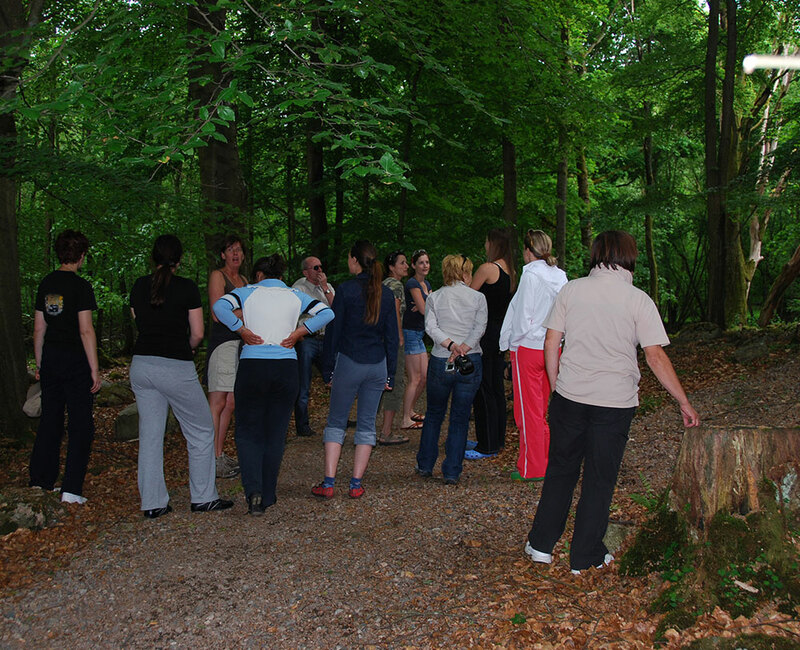 Each event is evaluated, because we constantly strive to become better. 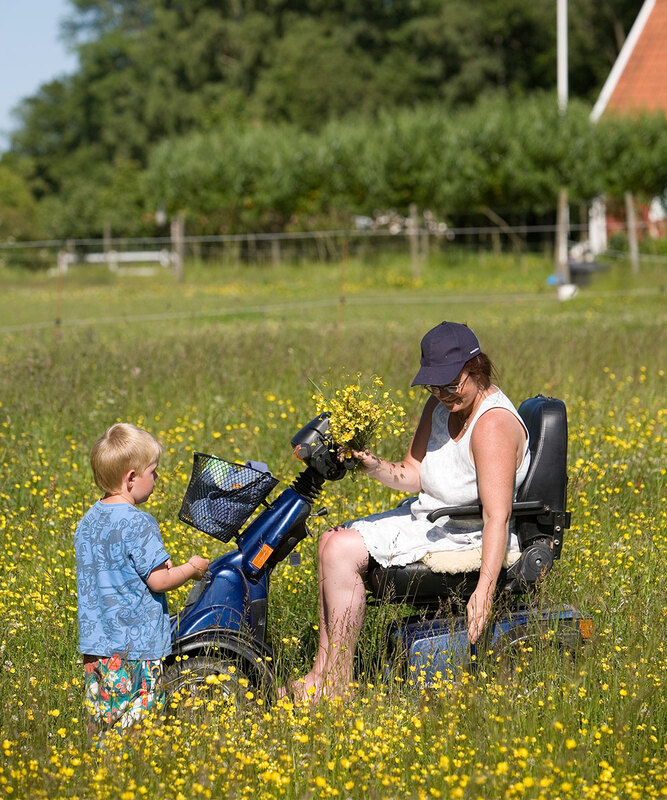 Together, we will plan your stay, so that you get the most out of your days with us. 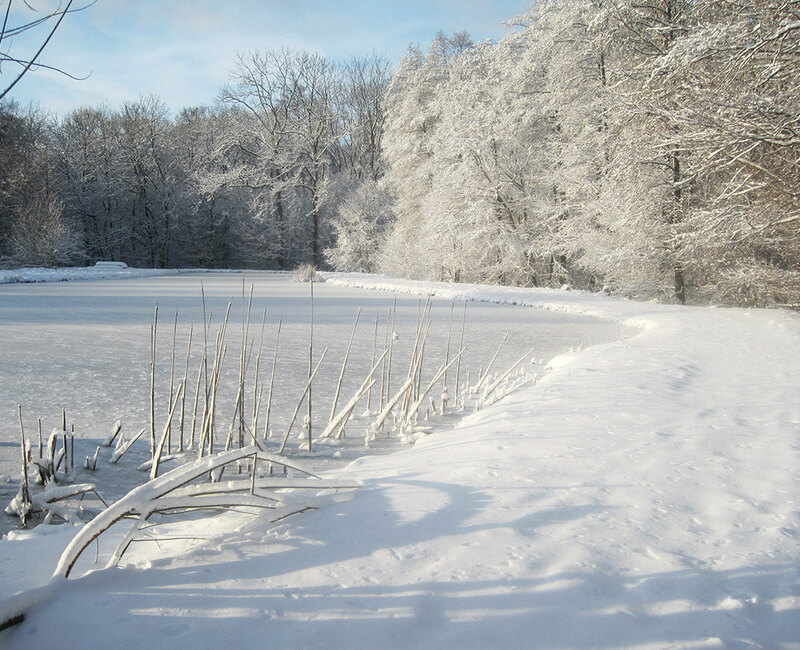 At the edge of the forest you will find, what we call, the “lakes” – four ponds with circulating spring water, where you can swim, row or skate depending on the season. 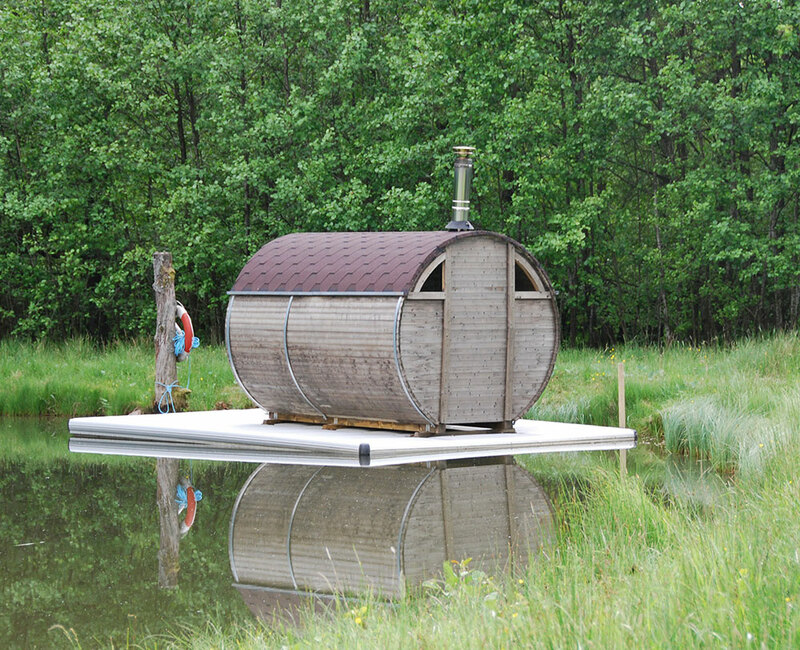 Why not try our sauna-raft with a wood-fired oven? 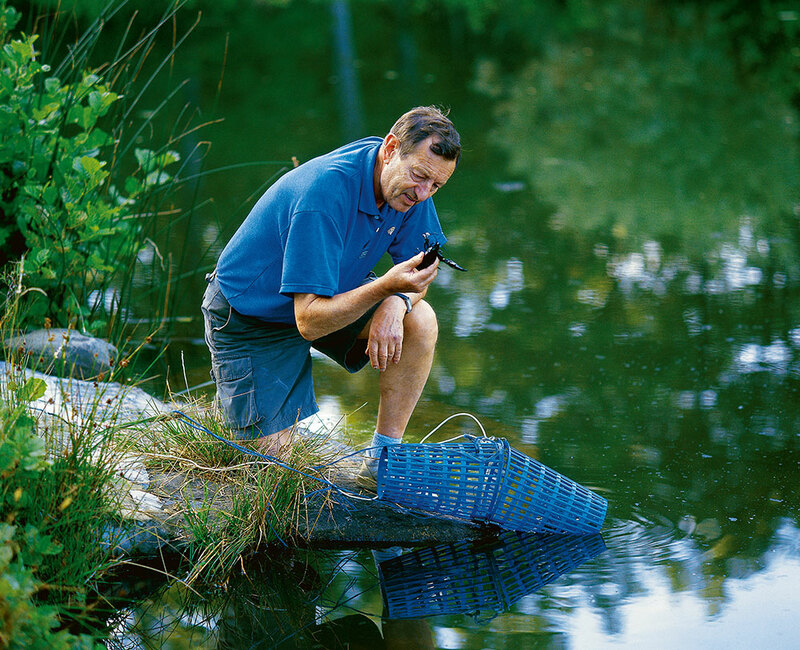 A couple of the ponds even have crayfish and rainbow trout for you to catch. 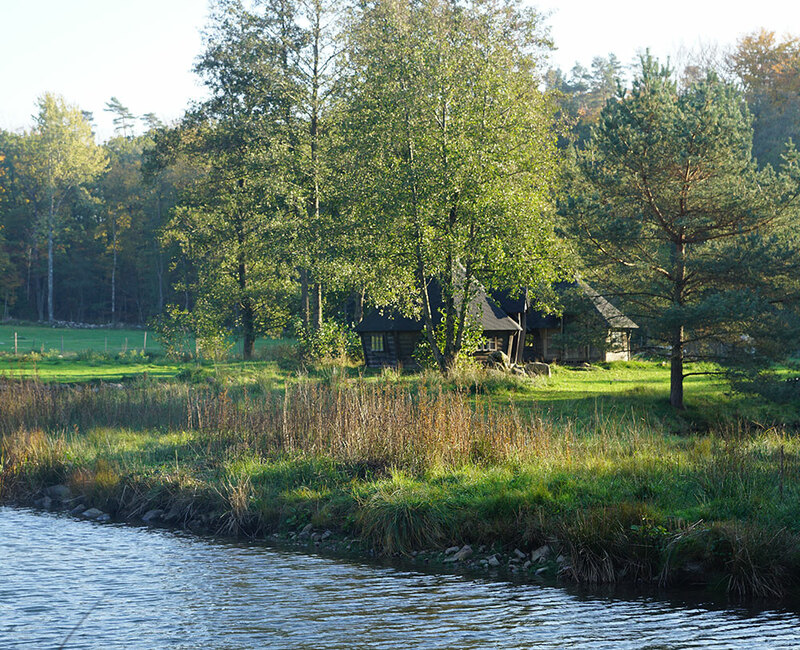 Söderåsens Forsgård is surrounded by woods and is close to the Skåneleden-trail. 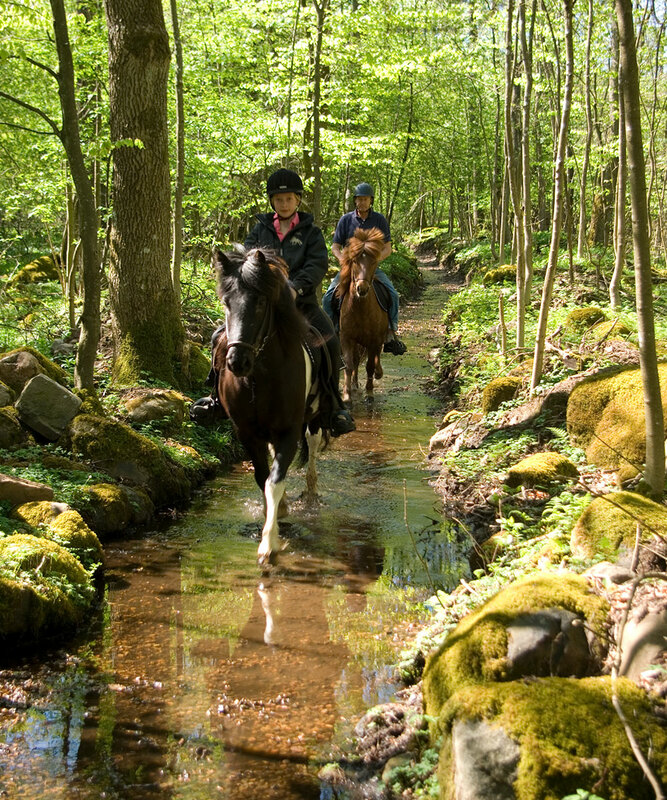 There are plenty of paths and roads that meander through the beech, spruce and deciduous forest, along waterfalls and on to the open fields with beautiful views. 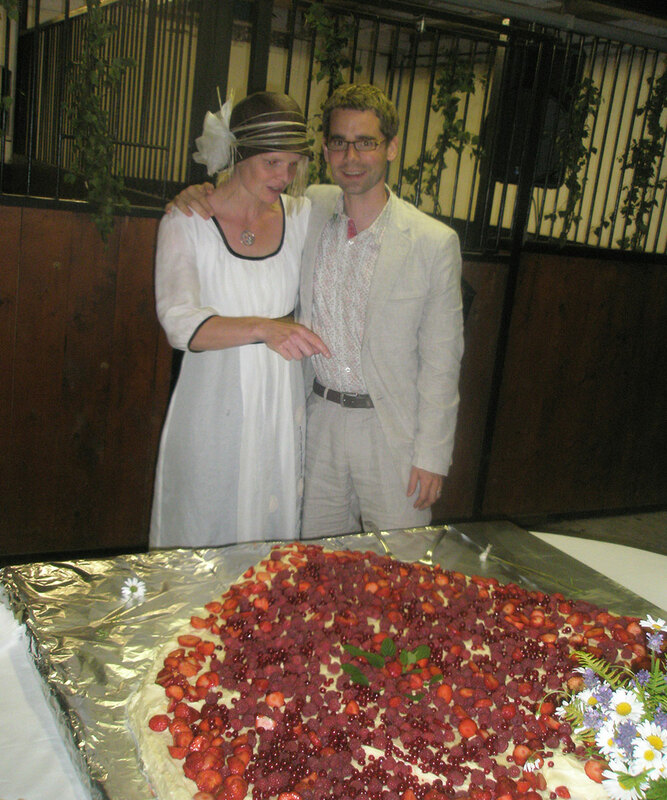 We also have barbecue huts and an outdoor barbecue of natural stone, which you can use. 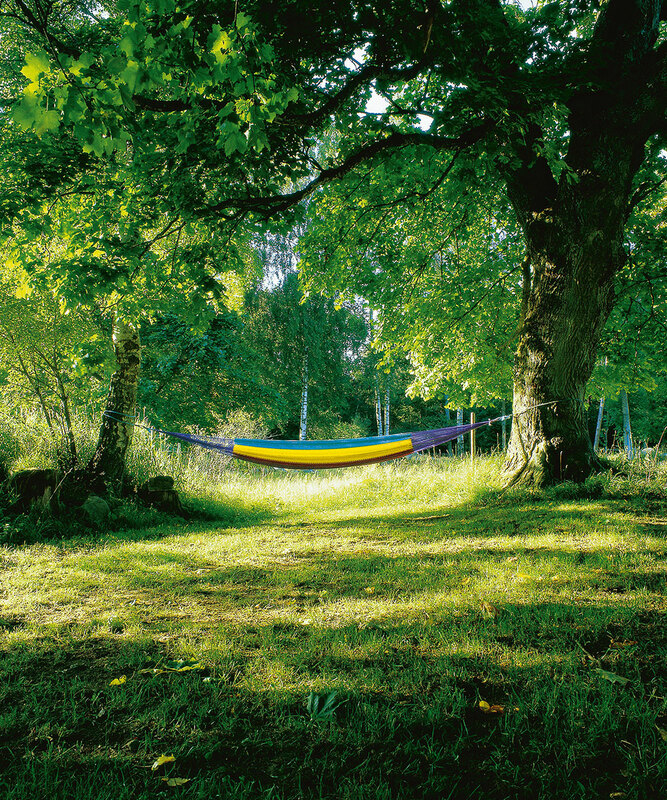 You can walk along the trails, practice your golf swing, or just relax in the hammock. 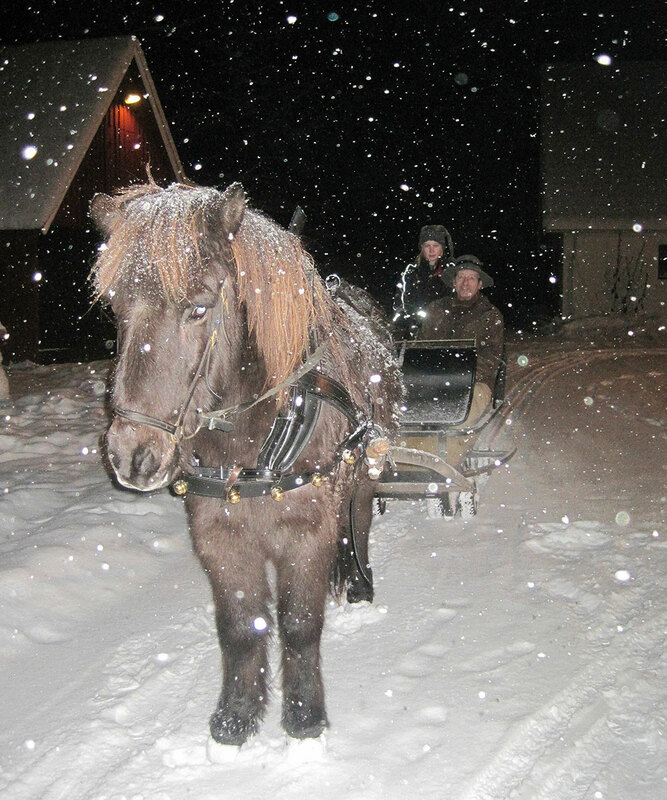 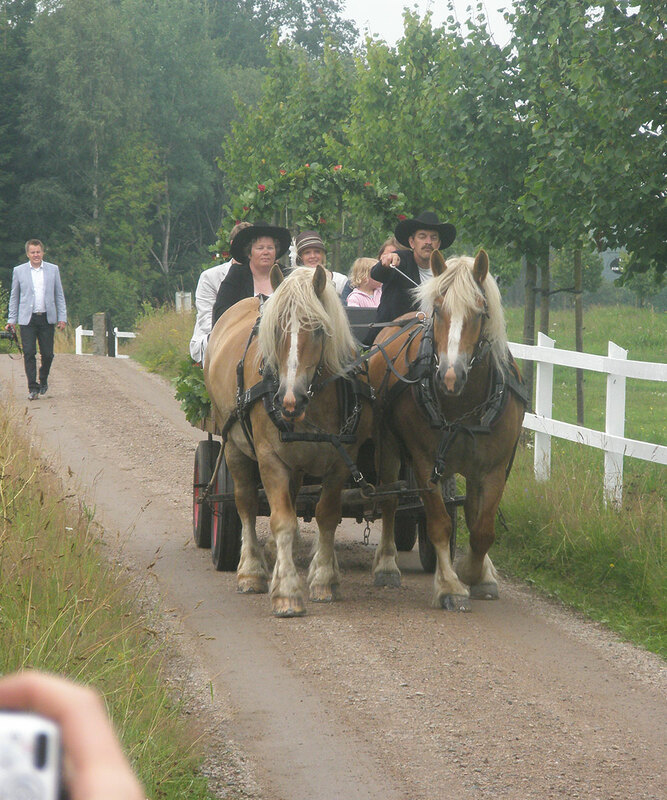 Of course, you can experience Söderåsen on horseback too or go by horse and carriage. 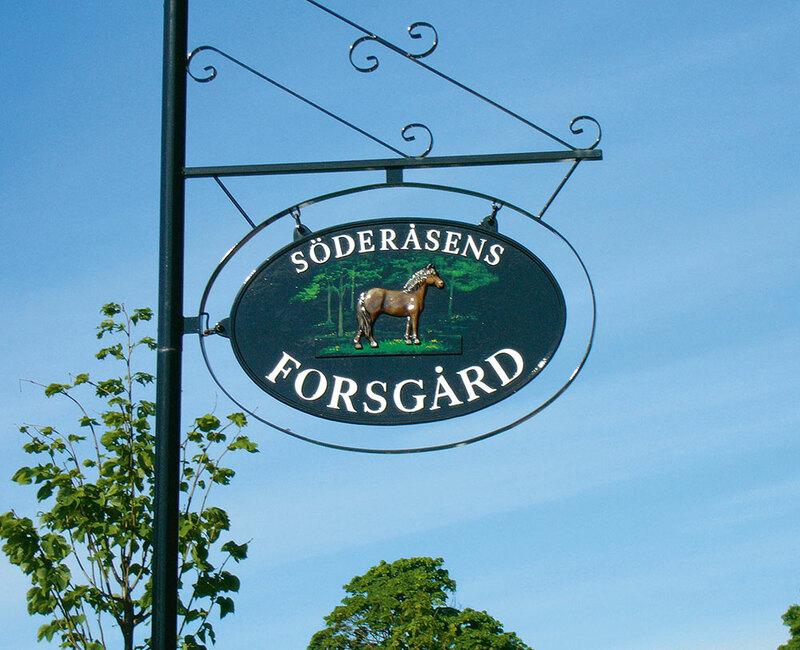 Since we are located on Söderåsen, we would like to tell you about Söderåsens nature, culture and history. 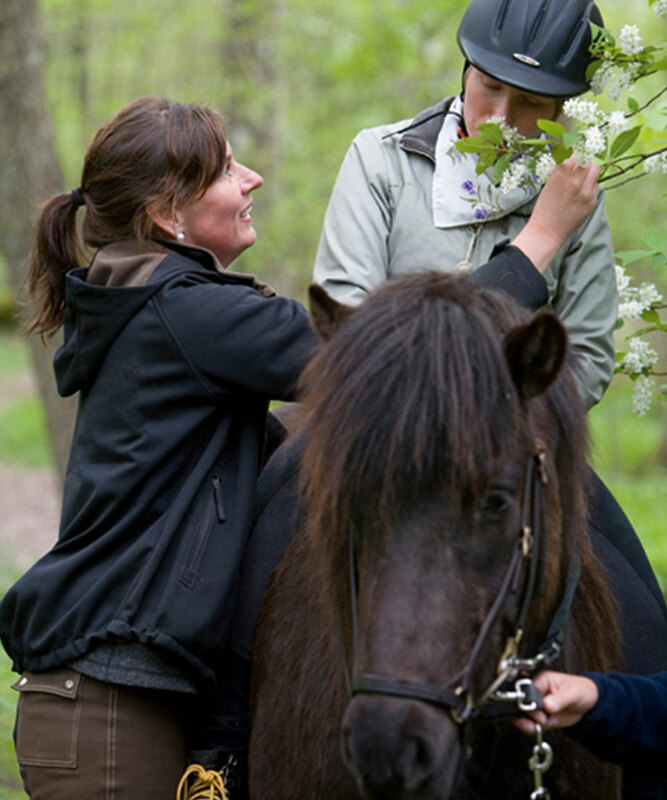 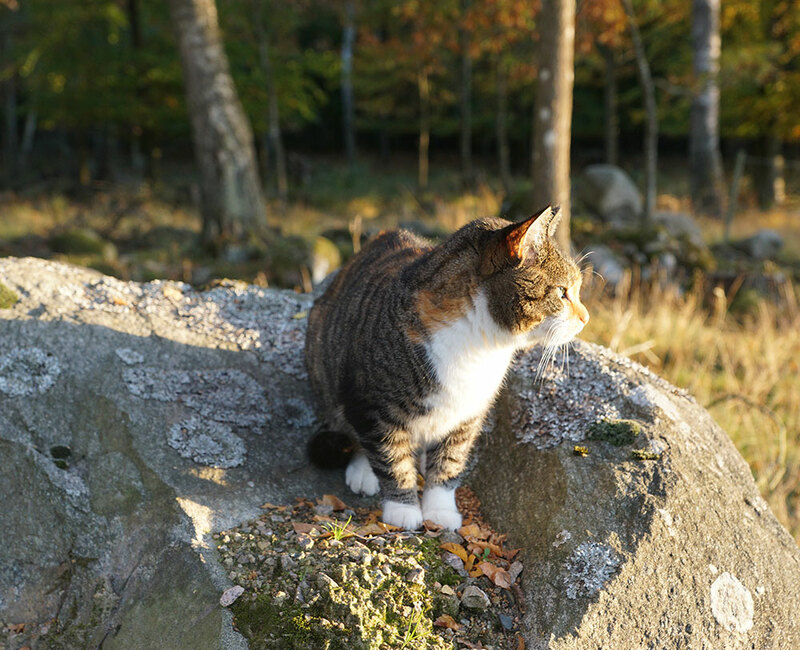 That is why we offer guided walking or riding tours were you get to experience the vegetation and wildlife of Söderåsen. 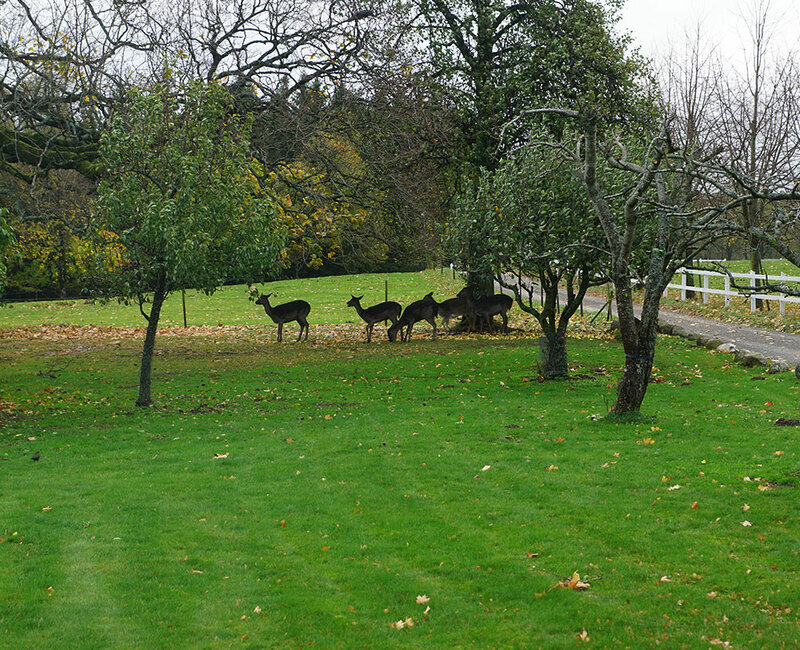 We also offer fallow deer safari, with the possibility to come closer to the wild animals. 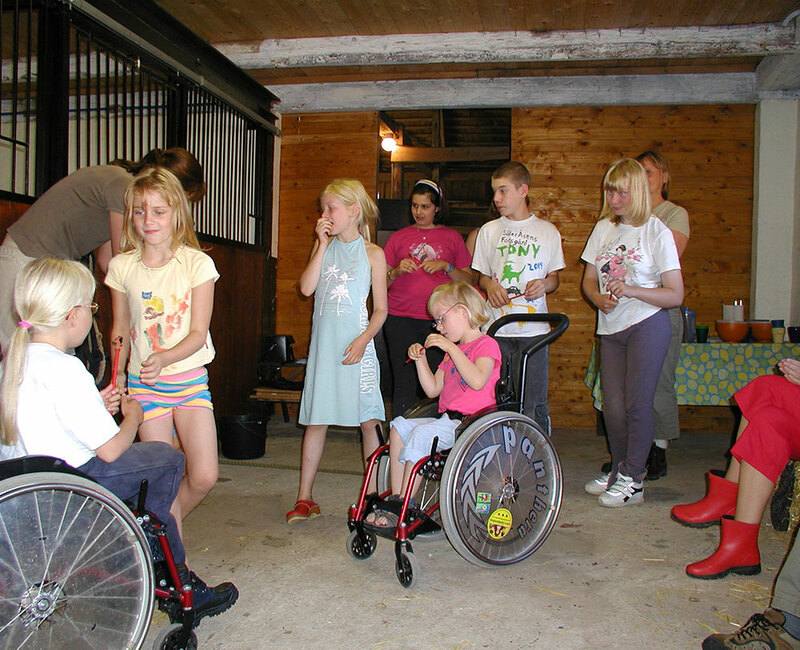 It is also possible to meet the farm animals. 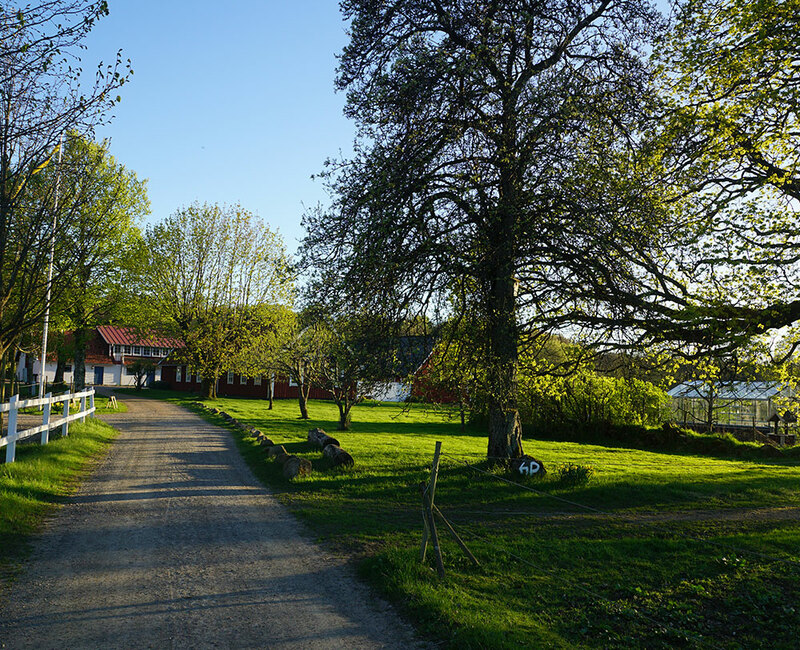 We have a variety of different animals that belongs to the typical Swedish farm. 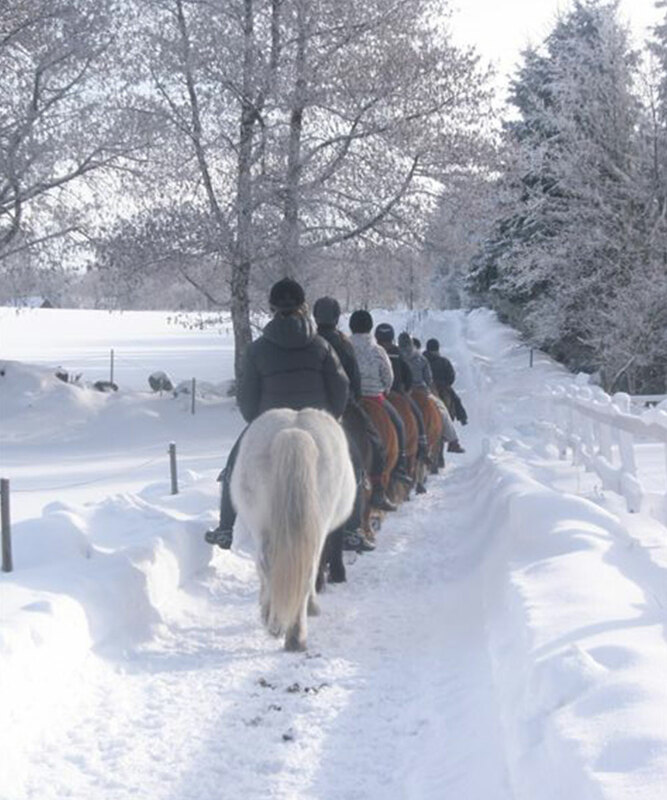 You can pick fresh eggs in the henhouse, feed the rabbit, pet the dog and the cat or book tours with our Icelandic horses.